This well-known bird of prey, symbolic of the USA, is also a symbol of success. It is a species at risk that is coming back from near extinction. There were less than 10 breeding pairs in Ontario in 1970 and today the population is estimated at 1400 pairs.  This is a species of special concern because of characteristics that make it particularly sensitive to human activities or natural events. Adults are distinctive with their white head, neck and tail contrasting with their brown bodies. The “bald” description is likely taken from the word piebald, meaning spotty or patchy. Wingspan of up to 2 m.
Juveniles do not develop white adult plumage until 4 years of age. Can live for 22 years. Feed on live or dead fish, aquatic birds, along with smaller mammals, amphibians and reptiles. Deer carcasses are a major source of food in Ontario’s winter. 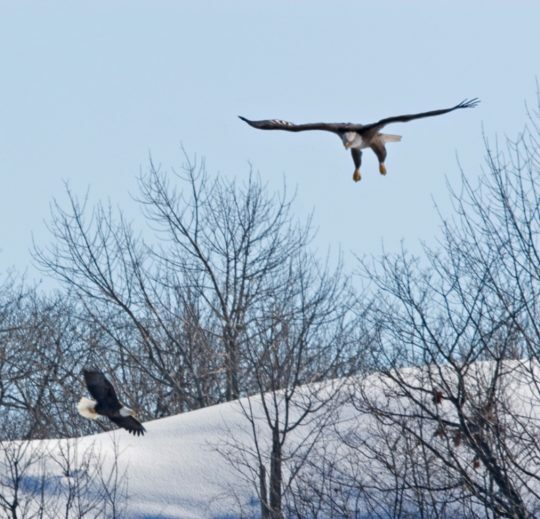 Keen vision allows them to see prey on the ground or in the water while in flight. Strong beaks and sharp talons grasp and carry away their food. They will steal prey of other birds especially Ospreys. Sexual maturity is reached at 4-6 years of age. 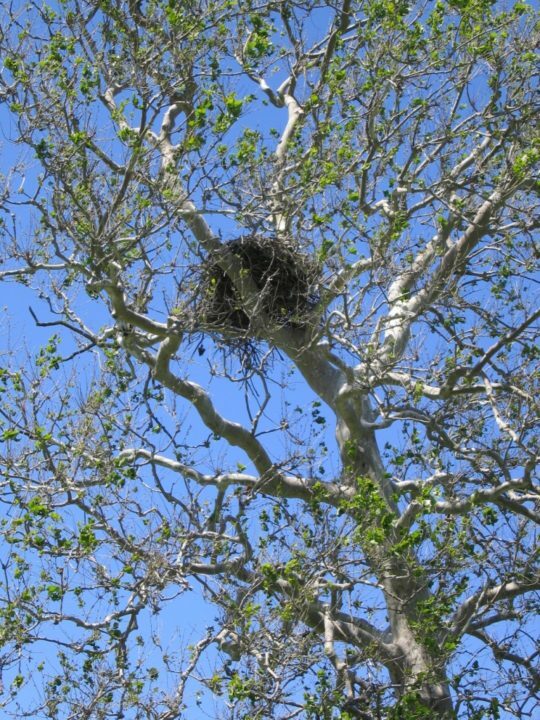 Nests are huge, constructed with sticks usually near the top of a tree and close to water. 1-3 eggs are laid and approximately half will survive the first year. They need large areas of continuous forest cover with large trees for nesting near lakes and rivers. Population hit hard by pesticide use post WWII but are now rebounding. 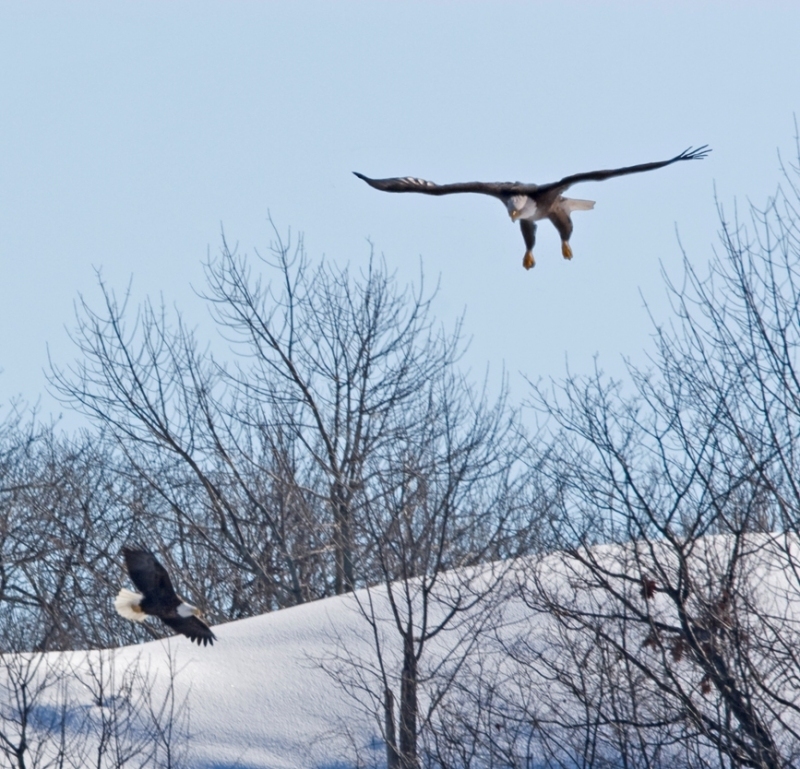 Please report any sightings of Bald Eagle nests to Parry Sound Ministry of the Environment, Conservation and Parks. Do not use pesticides particularly near water. 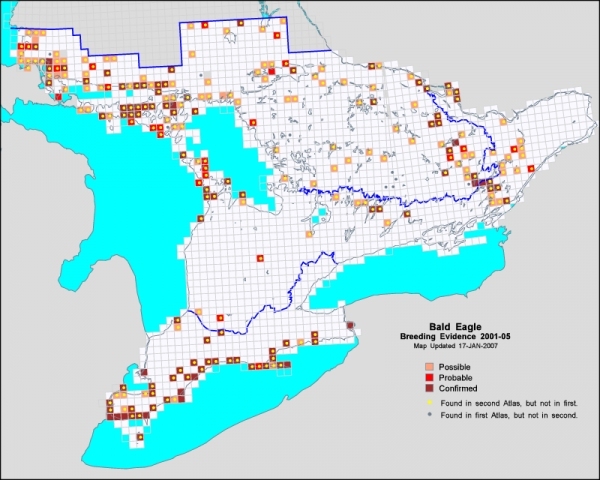 Thanks to the official sponsors of the Ontario Breeding Bird Atlas (Bird Studies Canada, Canadian Wildlife Service, Federation of Ontario Naturalists, Ontario Field Ornithologists, and Ontario Ministry of Natural Resources) for supplying Atlas data, and to the thousands of volunteer participants who gathered data for the project.